Earlier there was a discussion and countdown about the best jerseys in collegiate and professional sports. The time has come to discuss some of the greatest logos. There are many things that go into making a great logo. Sometimes it’s what the logo actually stands for, rather than what it looks like, that make it so great. Other times there are great color schemes or a creative and unique logo that sets it apart from the pack. In reality, it’s a combination of all these factors that make a logo so great. 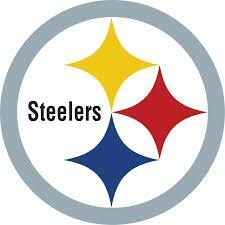 The Steelers logo is actually well thought out and intuitive. The three colors are meant to represent the three materials used to produce steel. Yellow is for coal, orange is for iron ore, and the blue represents steel scrap. The logo was actually created as part of a marketing campaign by U.S. Steel. The colors in the logo have since varied slightly, but the theme and heritage remain the same. The split U logo originated in 1977, after the school left its “UM” logo behind, since those letters already represented too many other schools. A University of Miami alumni named Julian Cole, and graphic artist Bill Bodenhamer developed the current logo by dropping the letter M, and that’s how “The U” was born. The pair also developed the logo for the Miami Dolphins. The current Dallas Cowboys logo was re-touched in 1964 by a man by the name of Jack Eskridge. He added a white border to the already existing navy star, and the new logo was born. The Cowboys logo has stood for a long time now, representing the nickname of the state and is now recognizable around the country and even around some parts of the world as the logo for America’s Team. Engraved upon Golden State’s logo is the silhouette of the Golden State Bridge, arguably a modern wonder of the world and certainly a tourist attraction and landmark. If at first glance someone doesn’t know where the “Golden State” Warriors are located, all they need to do is check the emblem and they’ll know. San Francisco’s most famous bridge lets them know right away. These franchises all boast logos where the history behind the logo, as well as its connection to the region it represents, make them some of the best in sports history. At Epic Promos, the goal is to make great logos and T-shirt designs for your business or sports team, whether you’re going down in the record books or not. The good news is that in the Boca Raton area and Palm Beach county area, we are available to customize shirts and jerseys for a sports team or company retreat. Call today at 561-757-5479!